Two new Community Partner Awards will be presented this year. 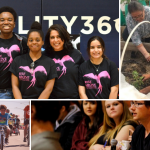 The Arizona Humanities Board of Directors created the Community Partner Awards to recognize organizations or individuals that have demonstrated outstanding support to Arizona Humanities, and the advancement of the humanities in Arizona. Read more about each award recipient below. Save-the-date for the Arizona Humanities Awards to be presented on Sunday, March 25, 2018 at Phoenix Theatre (100 E McDowell Rd, Phoenix, AZ 85004). For more information or to purchase tickets through eventbrite, visit https://azhumanitiesawards2018.eventbrite.com or call 602-257-0335. 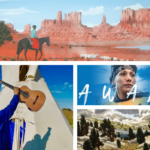 Liz Warren, a fourth-generation Arizonan, directs the South Mountain Community College Storytelling Institute in Phoenix, Arizona. The Institute received the Maricopa Community Colleges 2016 Diversity Award, and the 2014 New Times Best of Phoenix award for “Best Place to Learn to Tell Tales.” Her textbook, The Oral Tradition Today: An Introduction to the Art of Storytelling is used at colleges around the nation. Her recorded version of The Story of the Grail received a Parents’ Choice Recommended Award and a Storytelling World Award. Warren serves as storytelling coach for the popular Arizona Storytellers Project produced by the Arizona Republic. In July 2014 she received the Oracle Award for Service and Leadership from the National Storytelling Network. In September 2014 Warren was named to the New Times list of 100 Creatives in Phoenix. She has also served on the Arizona Humanities AZ Speaks roster as a Road Scholar. Warren holds a B.S. in Anthropology and M.A. in Anthropology from Arizona State University and spends most summers in Ireland teaching for Mesa Community College’s Study Abroad Ireland program. Dr. Almira Poudrier is Senior Lecturer in the School of International Letters and Cultures at Arizona State University. Her research interests include Greek history and religion, particularly the material culture of religious space and cult described in Herodotus. A specialist in teaching first-year Latin, she teaches many of the lower division Latin courses at ASU, as well as courses in ancient Greek and Roman language, myth, culture, the classical tradition, and comparative literature. 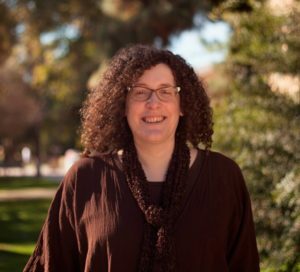 Dr. Poudrier is faculty sponsor of Solis Diaboli (the Classics Club on campus), and liaison for Apples + Archaeology, where she organizes the yearly Fall Forum in Classics, and outreach activities both on and off campus. She organizes the annual international poster contest at the SILC Language Fair, and serves as Vice-President of the Central Arizona Society of the Archaeological Institute of America, which brings monthly lectures on archaeology and material culture from national and international scholars to the Valley. As the organizer of the ACMRS Medieval Latin Research Group, she also leads weekly reading sessions in translating Medieval and Renaissance Latin authors. Dr. Poudrier holds a BA in Classical Civilizations from Beloit College, an MA in Ancient Greek from the University of Minnesota at Minneapolis, and PhD in Classics from the State University of New York at Buffalo. 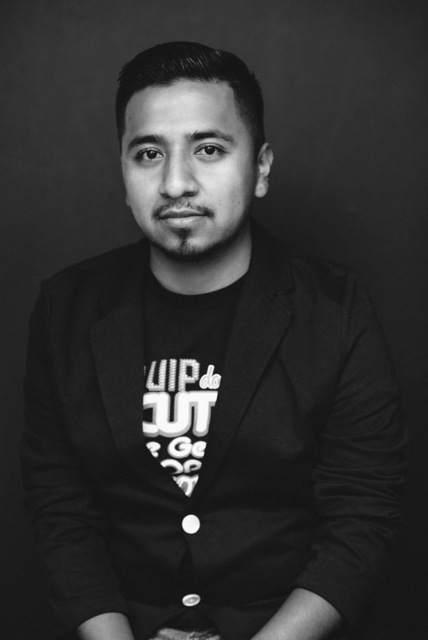 Dagoberto Bailon, is a social justice activist and the co-founder of Trans Queer Pueblo “TQP”. 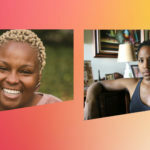 Bailon uses art and culture as the primary vehicles for community building and facilitating social change for transgender and queer migrants of color in Phoenix. He began organizing in 2006 to stop Proposition 300 from barring undocumented students access to in-state tuition. His activism grew from there to include speaking, performing and grass roots fundraising to promote justice, and increase awareness of LGBTQ, transgender, and undocumented communities. Bailon is committed to creating safe spaces for us to examine the complex legal and social issues these communities face as they search for identity and home. TQP’s work includes programs on health justice, family acceptance, community defense, and economic justice. 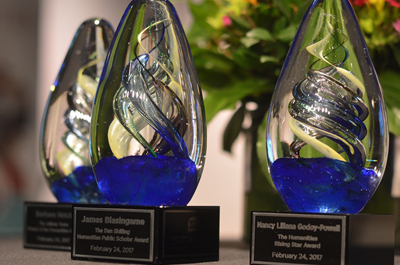 The Outstanding Supporter Award recognizes an individual or organization that has provided outstanding financial support to expand the reach of the humanities throughout Arizona. The Arizona Humanities business office for the past 20 years, is located in what was formerly the Shackelford family home. The Shackelford family preserved fixtures and artifacts of the home when it was slated for demolition, and returned those items when the home was earmarked for historic protection, and renovation. 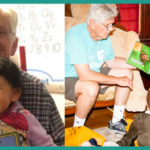 The family has committed significant volunteer time and financial support to the work of Arizona Humanities. For more information about the Ellis-Shackelford House and history of the family, please visit: https://azhumanities.org/about-ah/ellis-shackelford-house/. 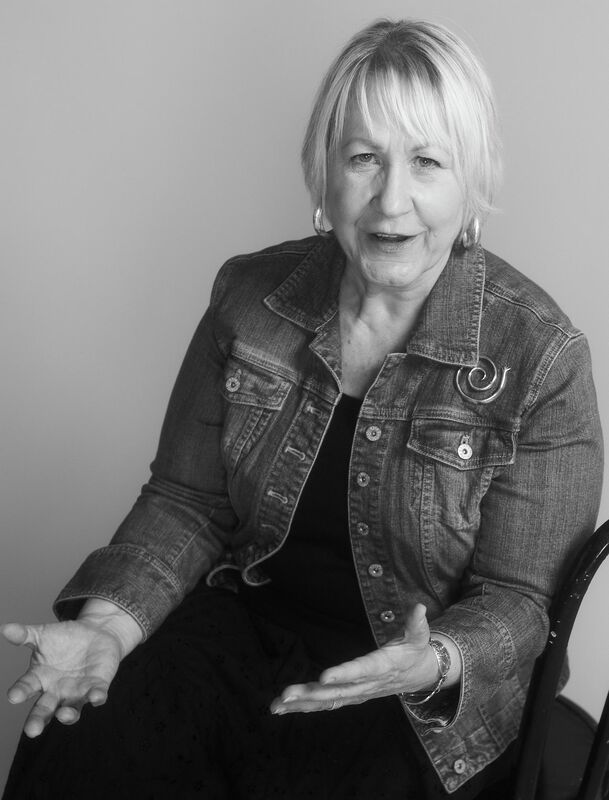 The Founder’s Community Partner Award is named for Arizona Humanities founder, Lorraine W. Frank, and recognizes an outstanding partner who has promoted the humanities through sustained program contributions to communities. 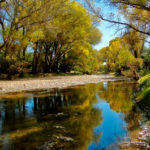 For more than one hundred years, the Arizona State Library, Archives, and Public Records has dedicated itself to preserving Arizona history and providing continued public access to the historical documents that tell the story of our state. Few cultural institutions have the type of impact community libraries have on our society. The Arizona State Library has collaborated with Arizona Humanities on programs for over 30 years and in particular on AH’s longest running AZ Speaks program (originally Arizona Speakers Bureau) which reached every county last year, and was attended by over 14,000 people. The Library currently partners on the new FRANK Talks community conversation program in libraries statewide. 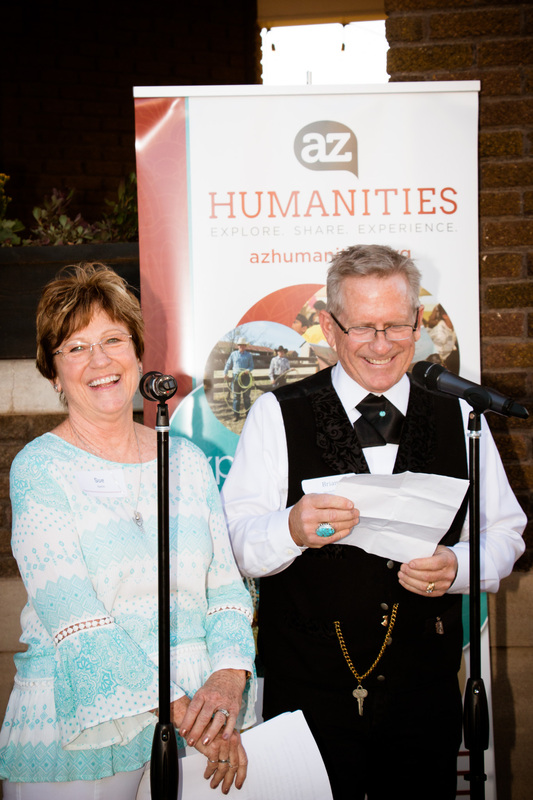 Arizona Humanities would like to recognize all of the nominees for this year’s awards. Every nomination packet contained letters of support outlining the achievements of these individuals in the humanities community.